Newark has held a tree lighting ceremony on Courthouse Square for 63 straight years. Though on a public building, the public is not footing the bill. Once seen as a Chamber function, the tree lighting is funded, now, by a non-profit set up to raise funds to buy, maintain, erect, remove, and pay the electric bill for the lights. 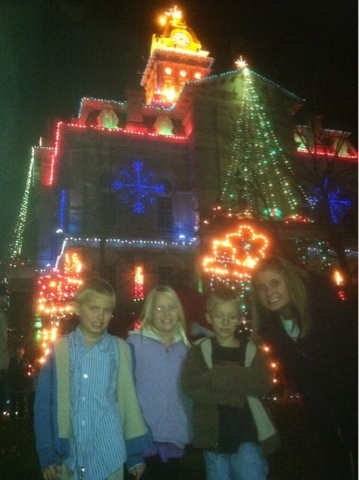 My kids and I made our first trip to the lighting this year. Neat.